CTT2017 was hold in past June in Moscow,and it was a successful show in a challenging market. The show attracted 557 exhibitors from 30 countries.The fair is always a meeting of colleagues and industry partners. CTT is the opportunity to get to know latest trends of the industry development. 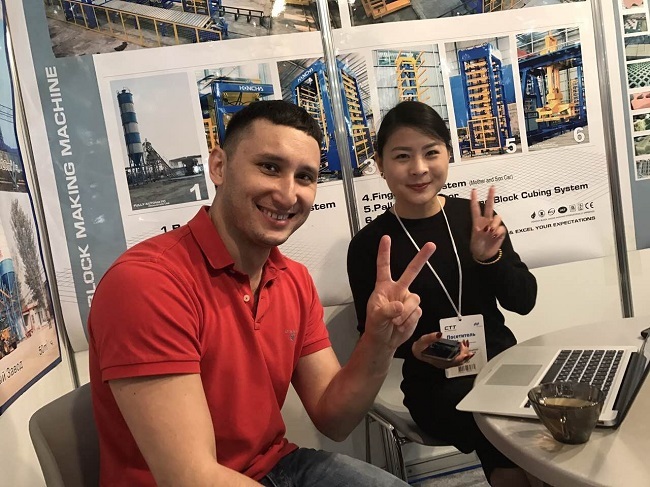 We decided to participate CTT 2017 hold in Moscow ,because firstly it is a professional construction machines exhibition,secondly , inquires of construction equipment from Russia increased a lot during past year and we got stable concrete bathing plant orders from that market . Our customer also our partner is an experienced trader of concrete batching machines .He joined in us during the exhibition,which helped to attract more attention from construction machines businessman .We held meetings with potential dealers and buyers in road building machines and real estate business line . 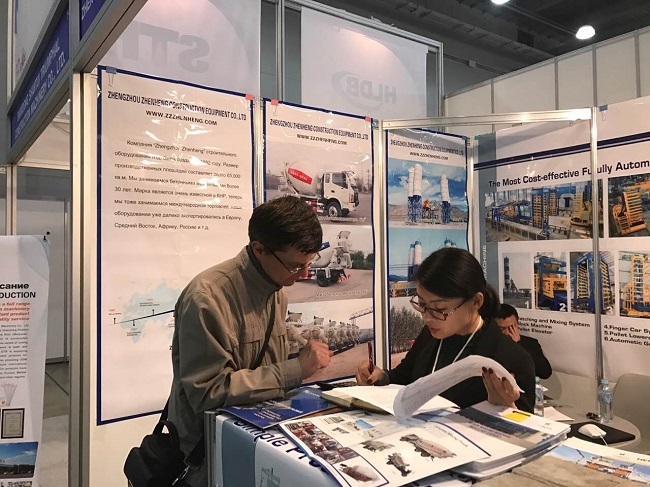 Since our partner is local producer and trader of construction mixers which facilitated the communication of the technology of concrete mixing machines so much .CTT is an excellent platform for looking for new cooperation and collecting latest construction machines development trends at the same time .The fruitful achievement encouraged us to run more bravely in Russian construction equipment and road building machines market . Next:What Happens Today in China?